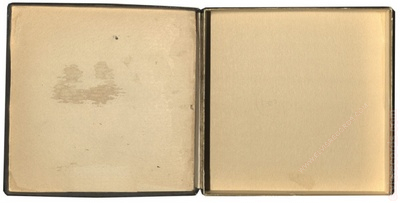 No known box or cover had been documented until an example made it's way to eBay on January 10, 2014. 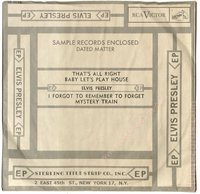 Just as spectacular as the box itself is the "discovery" of individual custom sleeves for each of the 10 records that make up this set. 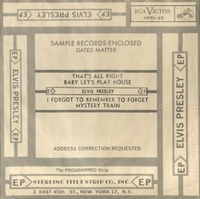 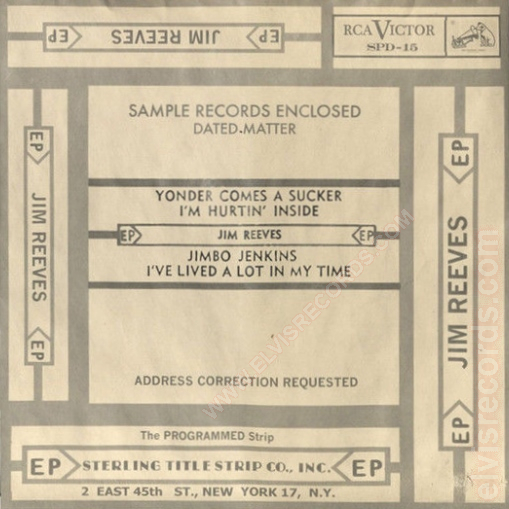 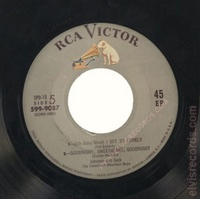 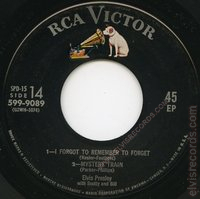 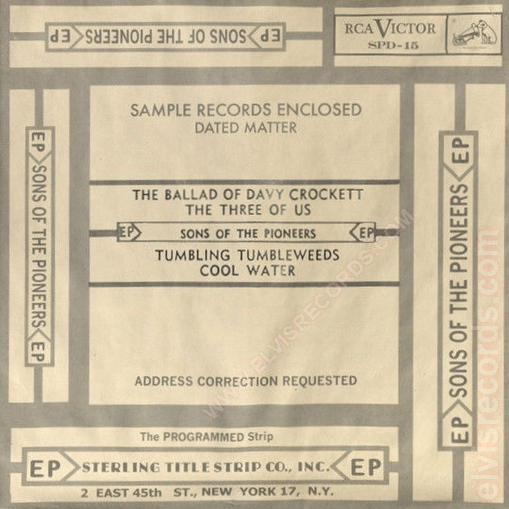 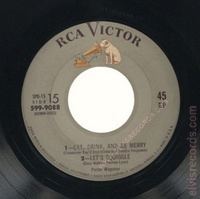 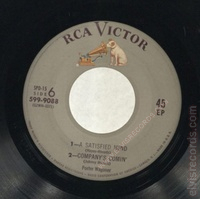 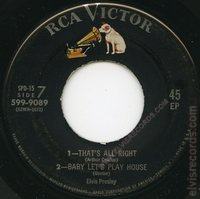 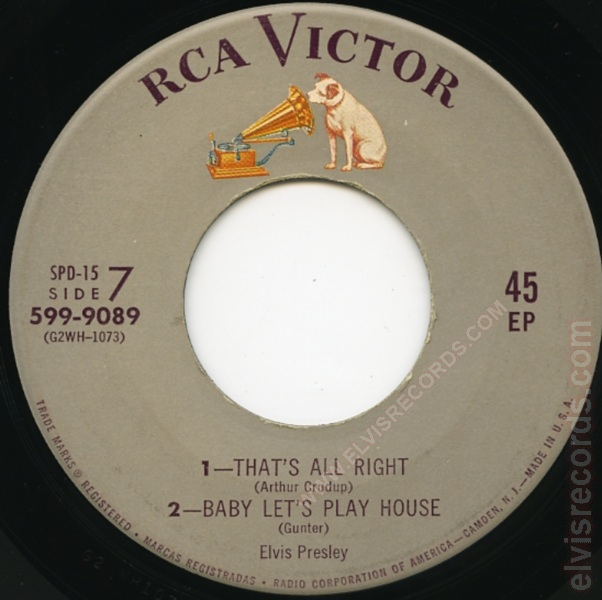 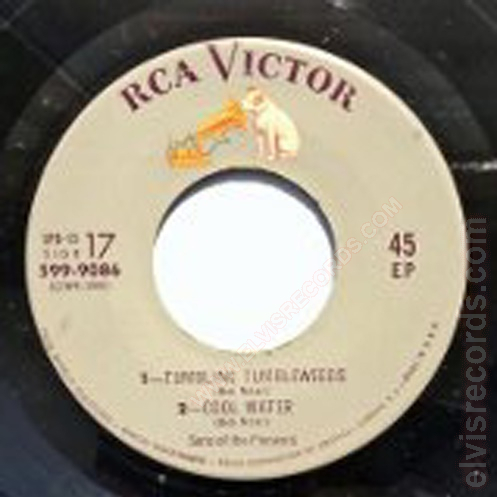 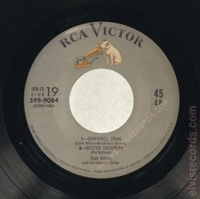 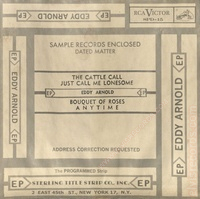 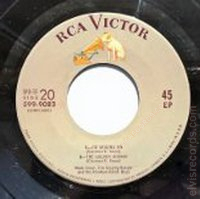 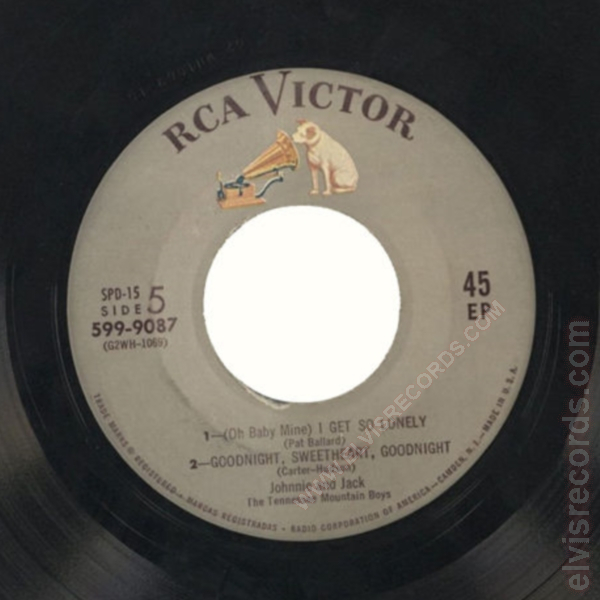 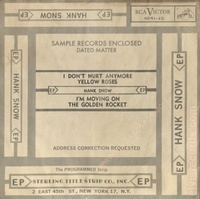 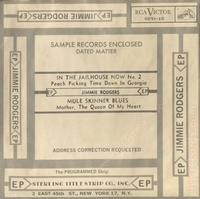 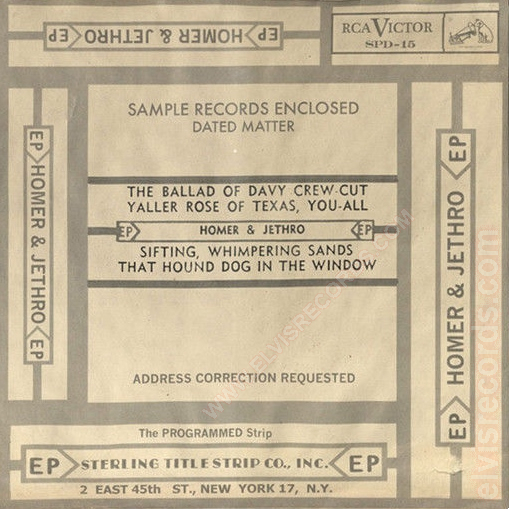 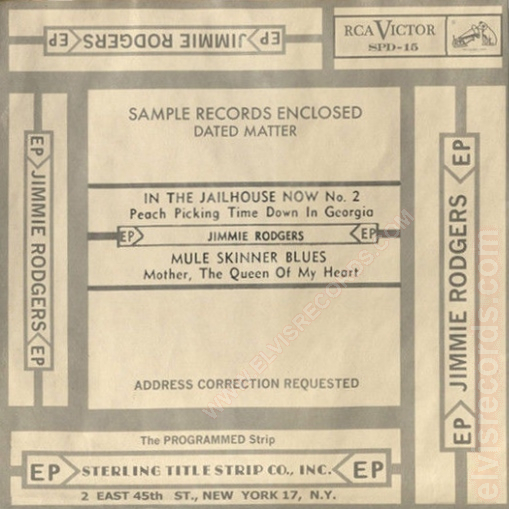 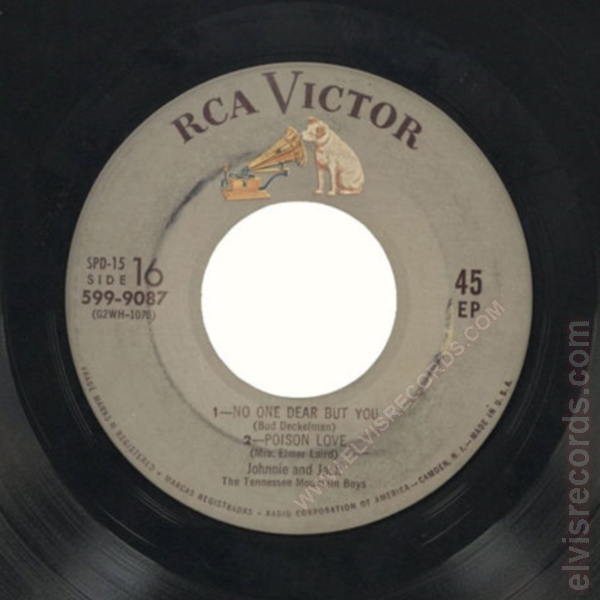 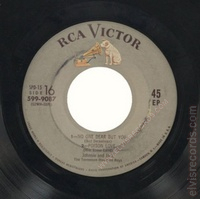 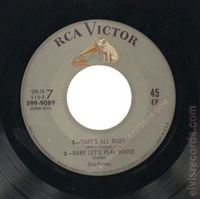 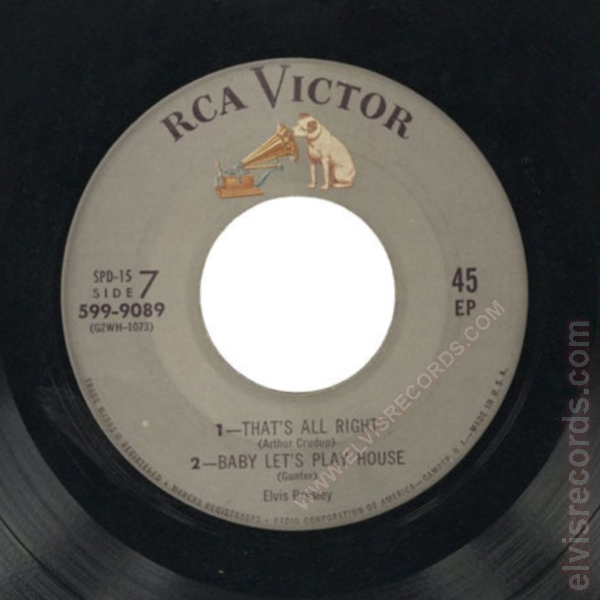 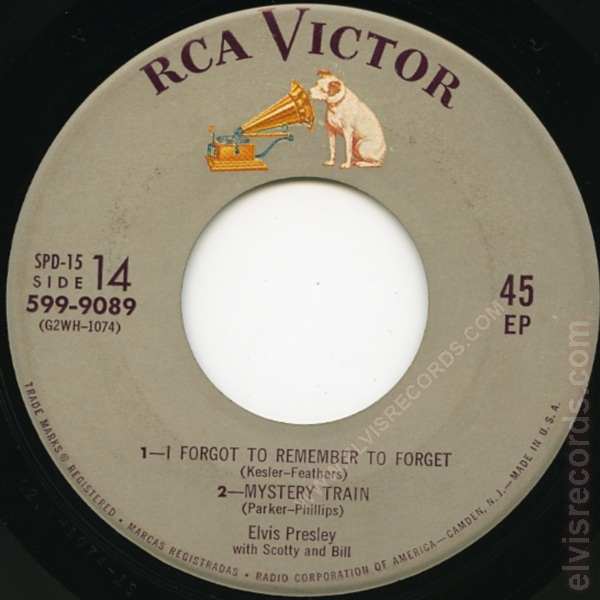 Although this boxed example did not contain all the records that comprise this set, the Elvis record which is featured on both sides (Side 7 and Side 14) of a one EP is included along with four other records to this set. 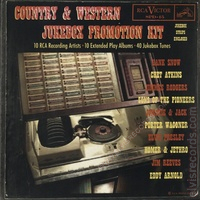 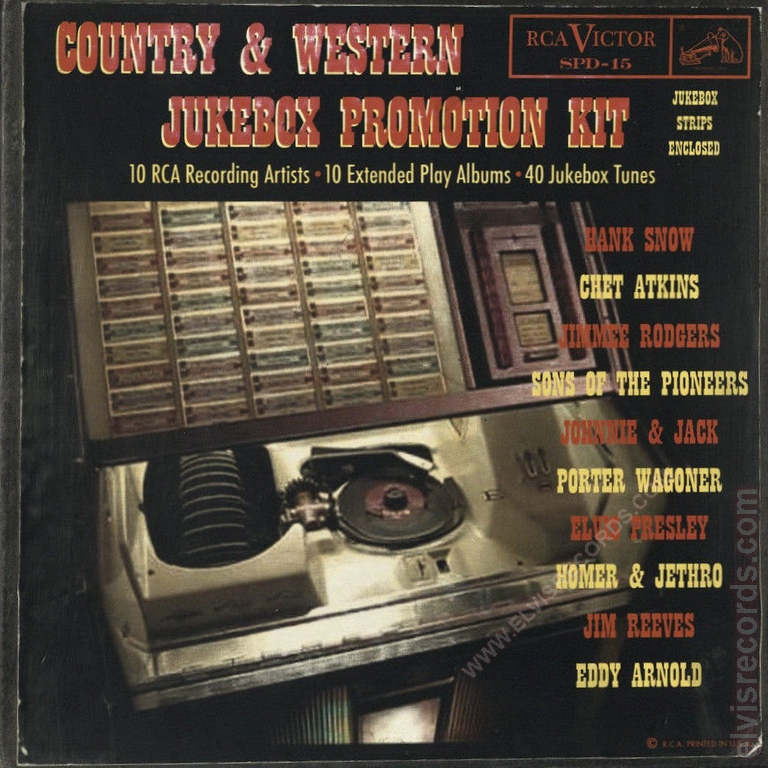 This set as originally speculated was intended specifically for jukebox use. 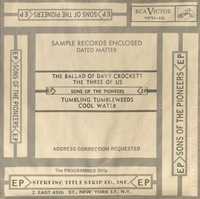 This promotional package was likely distributed in November or December of 1955. 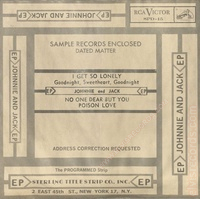 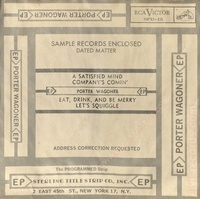 The only documented box to surface along with 10 unique sleeves specifically designed for this set, and five of the records surfaced on eBay January 10, 2014. It sold for an unbelievably low price of $2,342,98.3 Why undervalued? This complete set is comprised of 22 pieces and was just "discovered" in 2014. 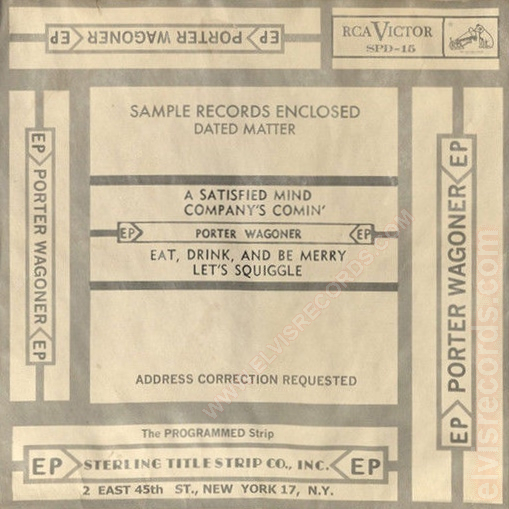 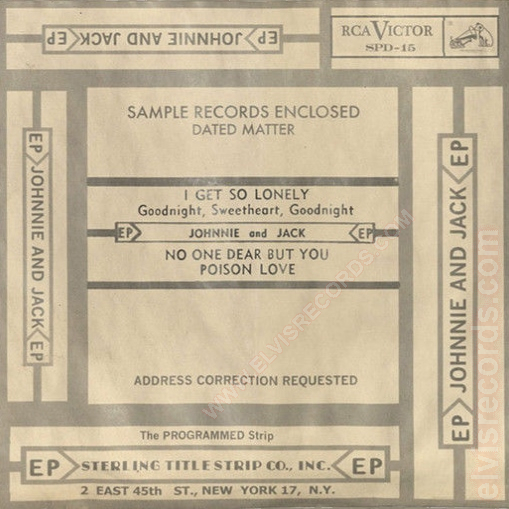 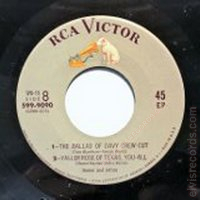 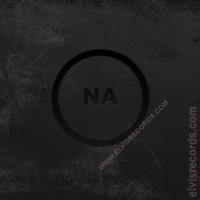 Compare this one to any other rarity of that era like the Jaye P. Morgan and Elvis combo, where multiple copies have surfaced from over the years with a book value of $14,000 and then reconsider the value of SPD-15. 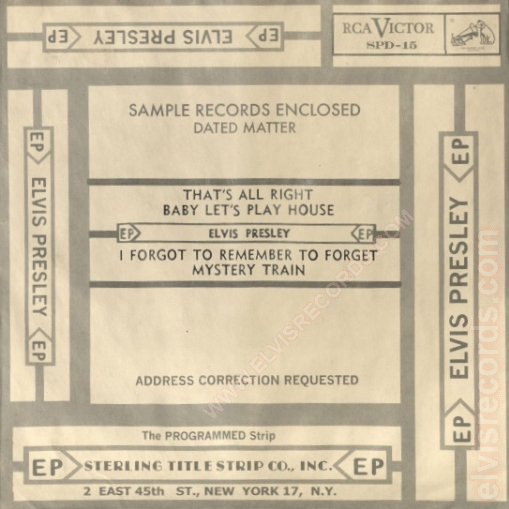 A second box surfaces on eBay April 17, 2016 with only the Elvis single and it's insert and sells for $589.994. 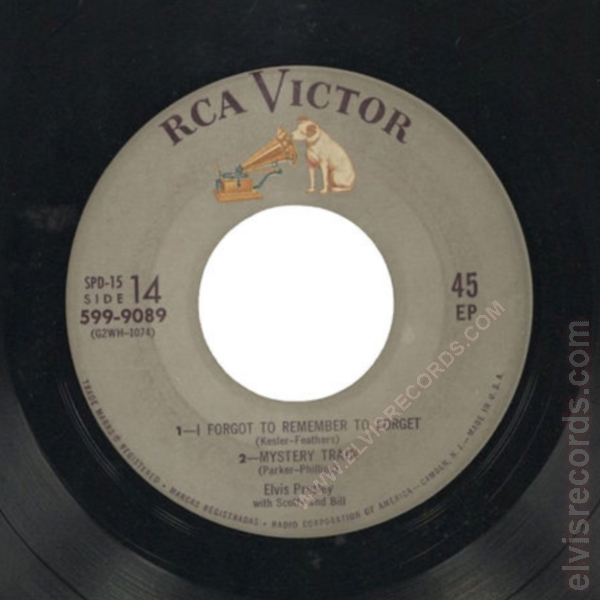 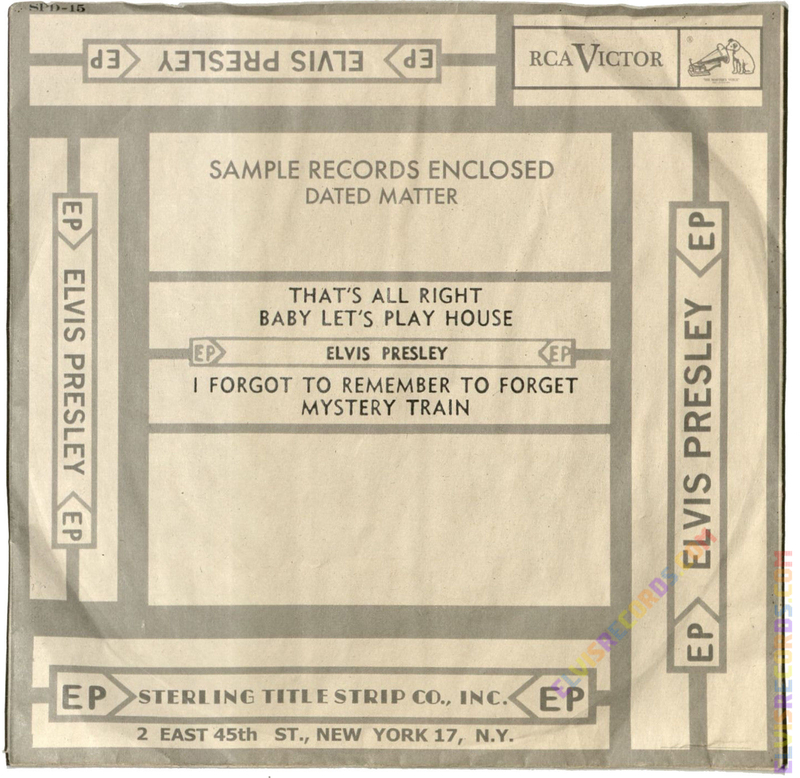 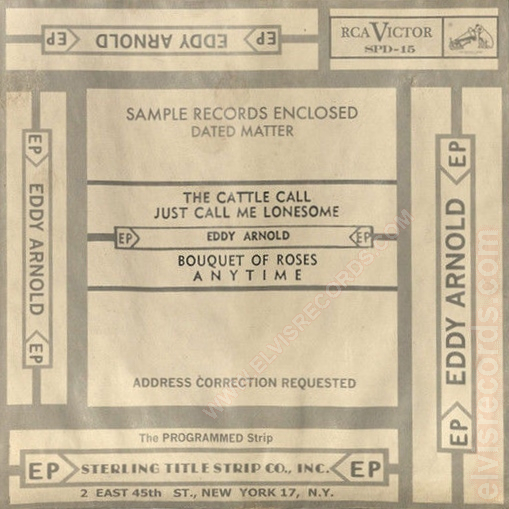 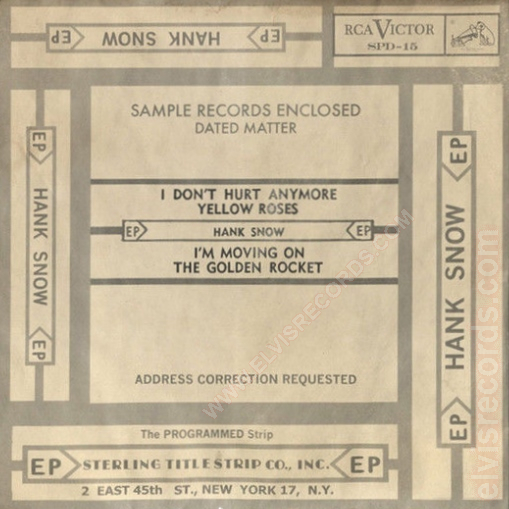 A third box with Elvis single, it's insert, and original jukebox strip sold in 20175. 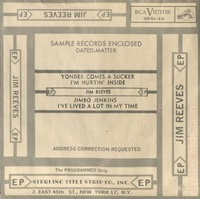 Variation Alert: Check out these two inserts. 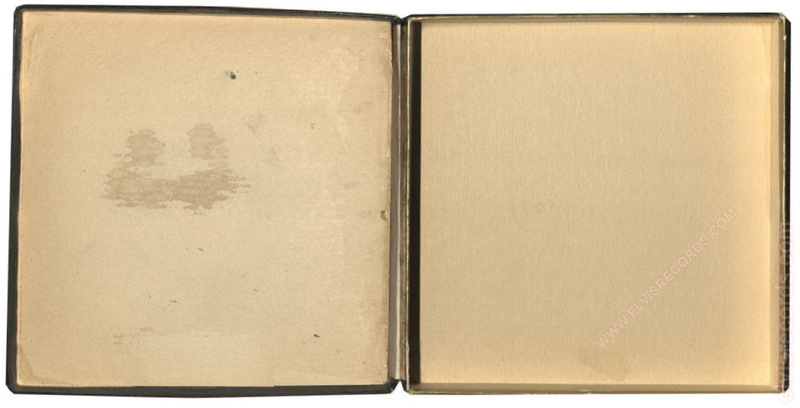 Subtle but big differences. 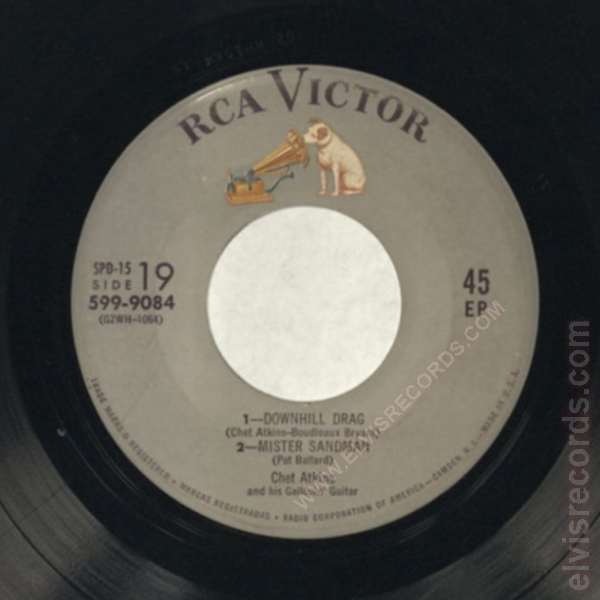 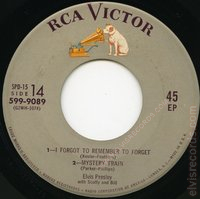 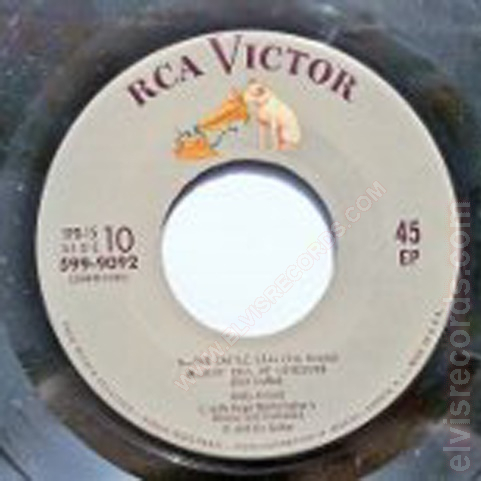 Note that upper right corner SPD-15 is centered under RCA Victor. 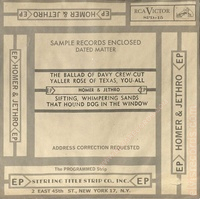 On the one on the left printed in black upper left corner. 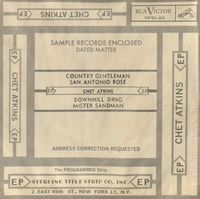 Note that the ADDRESS CORRECTION REQUESTED is on one and not the other. 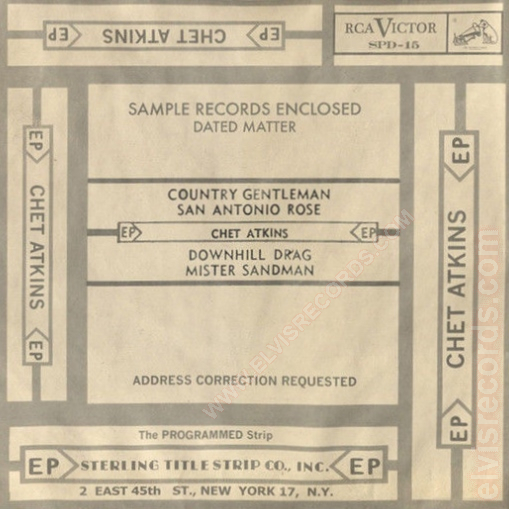 Also note that the Programmed Strip is missing on one and not the other. Interesting variation for an already rare find.34. 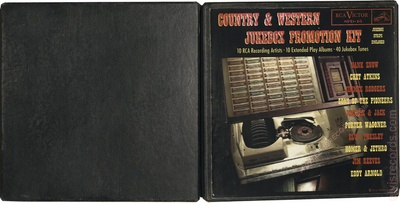 There are two known jukebox strips.